Indonesia, accept the privilege in hosting Asian’s most significant sporting event in 2018, Asian Game. The main game will take place in August in two venues, Jakarta and Palembang. 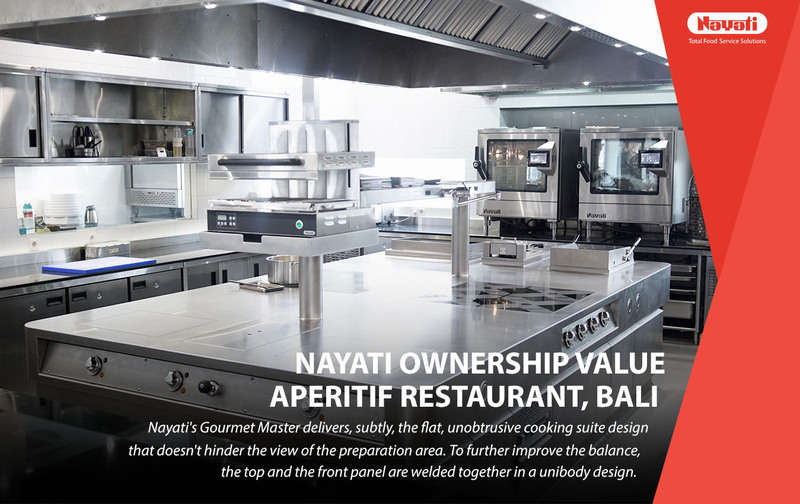 Nayati proves to be, once again, the perfect partner in delivering an ideal solution for the event. 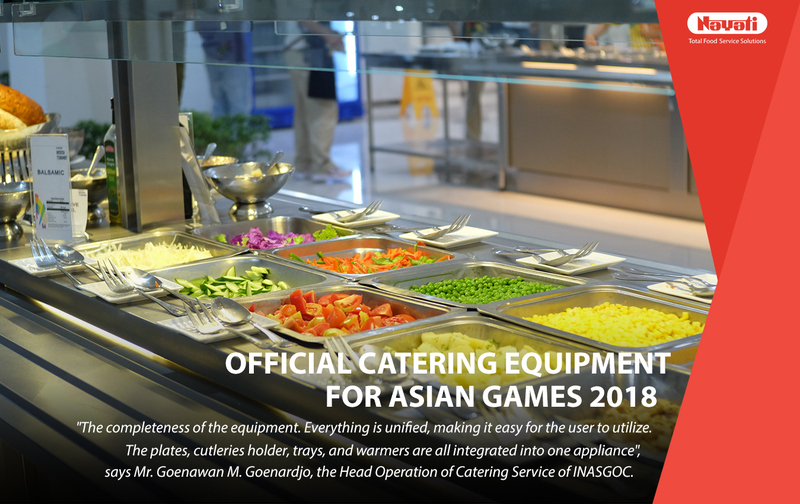 During February 8-15, 2018, test event of Asian Games was held to observe the challenge of providing excellent food service while maintaining mobility, as the supplier is expected to install and dismantle within a limited time. 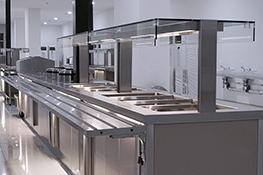 Multiple mobile food display station was fitted up continuously in a single island to provide access on both sides, all electrical and water fittings are concealed on the bottom with a removable plinth, covering the castor as well. Illumination was suited with LED light under the powder-coated cover panel to enhance the visual effect on bright colored tiles underneath. This solution is functionally and aesthetically perfect for this situation. 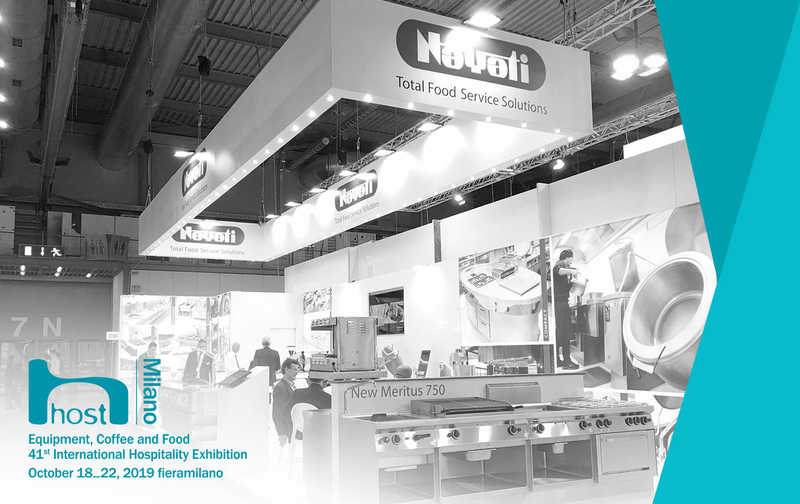 “The completeness of the equipment. Everything is unified, making it easy for the user to utilize. 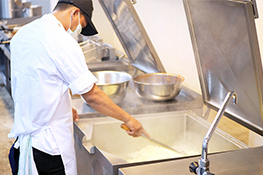 The plates, cutleries holder, trays, and warmers are all integrated into one appliance”, says Mr. Goenawan M. Goenardjo, the Head Operation of Catering Service of INASGOC. 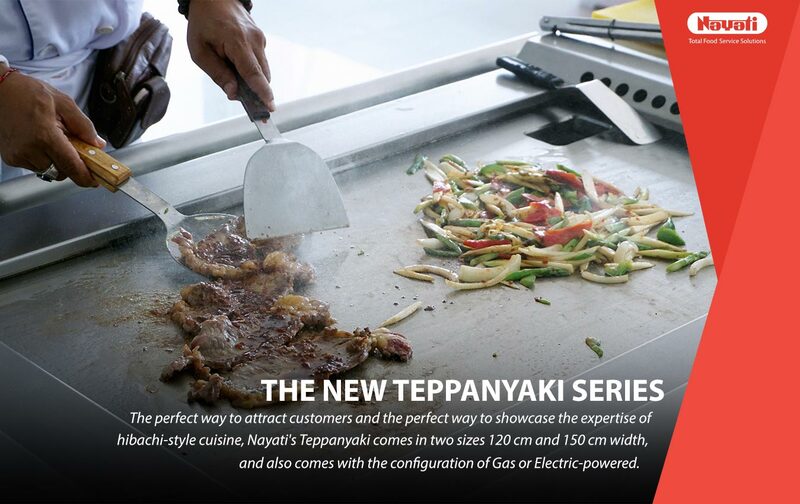 In the central kitchen, a set of the electric cooking range was lined up, consisting of Meritus 750 series, Combi Steamers as well as Tilting Boiling and Braising Pan. 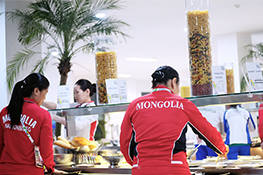 All of them are being used to the full extension, catering athletes and staff around the clock. 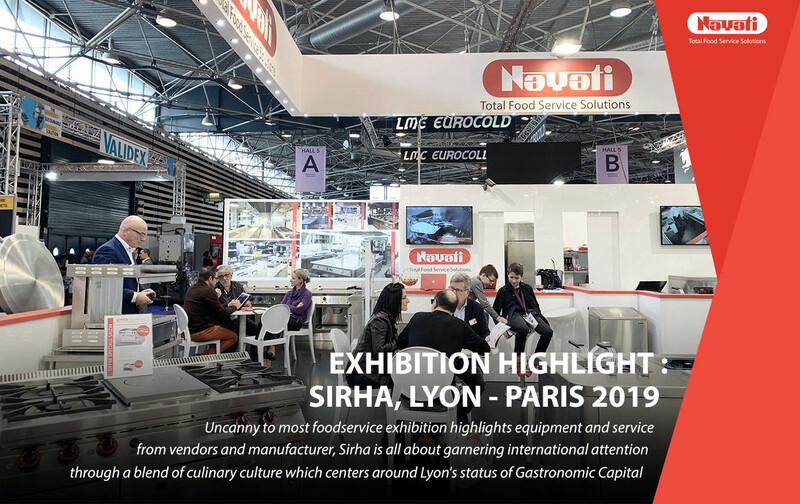 We are excited to anticipate the main event in August and prepared to deliver flawless service, contributing not just as a supplier of the game, but as a proud manufacturer from Indonesia. 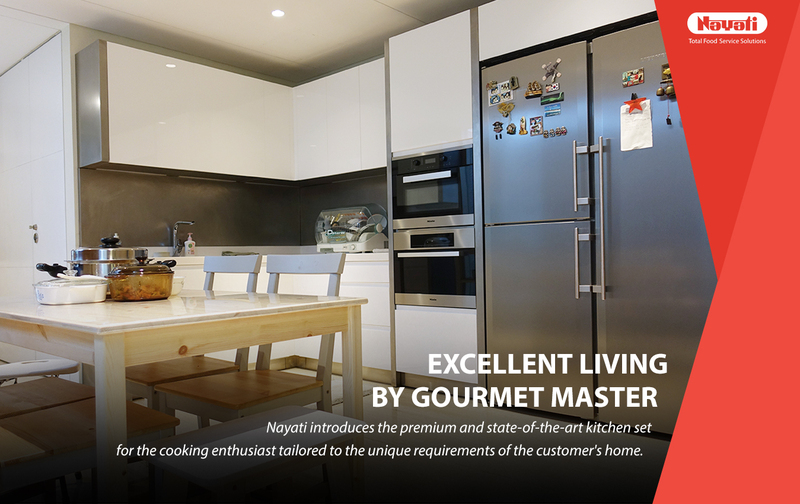 Check out our video below to see Nayati’s product in action during Test Event of Asian Game 2018!